Months ago, I wrote a two part article on the origins of the occult in the United Nations. I explained what is called the “Lucis Trust” and gave a brief history of Alice Bailey who was instrumental in bringing Luciferian worship to the U.N. 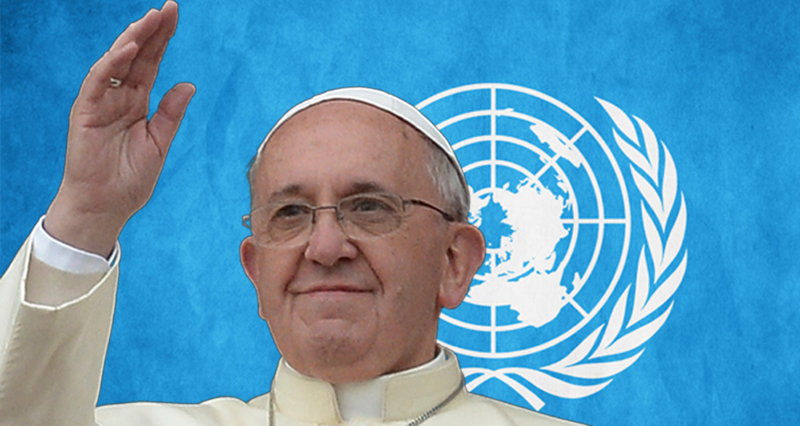 In light of rapidly changing events concerning the United Nations; particularly the scheduled address by Pope Francis on Climate Change and world depopulation, I felt that it would be good to update the prior articles. Christians need to know what is happening and why it is happening. We need to be able to explain to the unsaved how the United Nations will be used by Satan to bring about the NWO – One World Government, and eventually the Antichrist himself. Madame Helena Blavatsky is known as the “mother” of the New Age movement and modern occultism. In her “Secret Doctrine” she taught that Lucifer was higher and older than the God of the Bible, and that Lucifer had to be sacrificed and sent to earth, because of the coming dogma of the Church. She taught that Satan was truly “good” and that he was known by many names, but mainly as God of Wisdom — the cosmic reflection of God. She also called him “Son of the morning” and in many writings, called him Son of God. After years of contact with her so-called spirit masters,( we know they are demons) Blavatsky published “Isis Unveiled” in 1877; a hugely successful writing, followed by “Secret Doctrine” in 1888. She also established an Occult magazine in London, called “Lucifer.” By this time, Blavatsky had acquired a huge following. Alice Ann Bailey received her knowledge from “Ascended Masters” departed spirits. As Christians, we know that these spirits are merely demons, doing the bidding of their master – the devil. We know that Lucifer’s name was changed to Satan after being cast from heaven, the Luciferians continue to refer to him as Lucifer. What does this have to do with the UN? They look to their Ascended Masters for Enlightenment, not realizing that they are being played by their precious Lucifer. He is sending his minions of fallen angels (demons) to communicate with the leaders of mediation and psychic readings groups. Most people would be shocked to know that the U.N. is the largest gathering of Occult and New Age followers on the planet. As you can see, clearly the goal of the United Nations is the establishment of the New World Order. This NWO sets the global stage for the coming of someone. We will see who this long awaited person will be. Knowing that the Lucis Trust was built upon a Satanic foundation, it is not difficult to surmise their ultimate goal. They are waiting for the “Lord Maitreya”, or as they call him “The Christ.” But don’t be fooled. 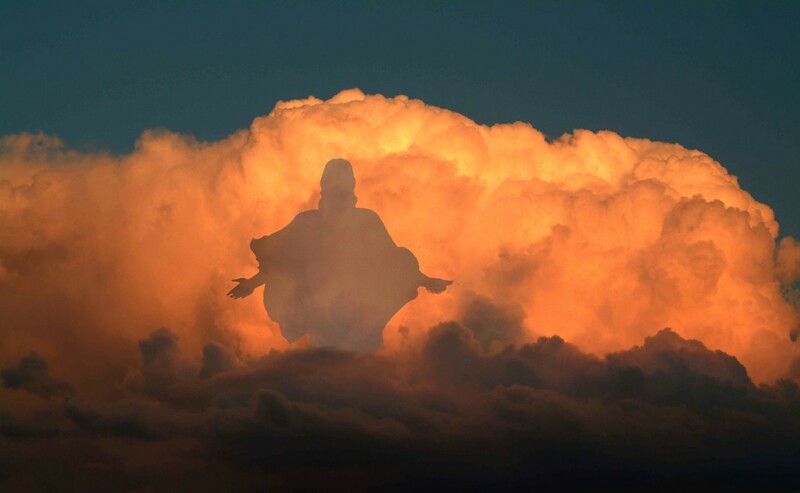 This is beyond a shadow of a doubt not our Messiah, Jesus Christ. I felt an urgency to write about these things. We who love the Lord Jesus Christ, need to know how the Strong Delusion will come upon the peoples of the earth. Now, with Pope Francis becoming the key note speaker at the U.N. in September on so-called Global Warming, the plot certainly thickens. This Pope is also a true Marxist and believes in a “global political authority.” He believes in redistribution of wealth. Incredibly, he also believes in depopulating the earth by almost 95%! Remember, Pope Francis is a Jesuit. The Jesuits have been called the Vatican’s army. They never thought that one of them would become the Pope himself!